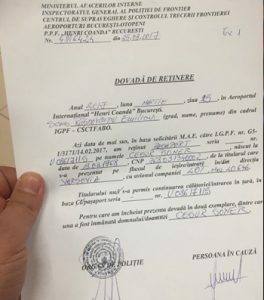 Romanian police on March 25 seized the passport of Soner Cesur, a Turkish businessman with investments in Romania upon a demand made by the Turkish government, the Global News website reported on Monday. According to the news, Cesur’s passport was seized by police at Henri Coanda Airport as he was attempting to fly to Warsaw. Police cited in a written document that the passport was seized upon an order from the Romanian Foreign Ministry. The police also said Cesur’s passport would be sent to the Turkish Embassy in Bucharest. According to the report, Cesur, who was shocked that a European Union country would follow the orders of an authoritarian government, had a passport that was valid until 2024. Considering the current conditions in Turkey, Cesur, his wife and four children are uncertain about where to live in the future. According to local media, an arrest warrant was earlier issued for Cesur as part an investigation into the Gülen movement, which the government accuses of masterminding July 15 coup attempt. The Turkish government has been trying to confiscate over 50,000 passports including those held by relatives of exiled journalists. On Sept. 5, the government banned Dilek Dündar, the wife of former Editor-in-Chief of the Cumhuriyet daily Can Dündar, from travelling abroad after seizing her passport at an İstanbul airport. Similarly on Oct. 5 the government banned journalists Ayşe Yıldırım and Celal Başlangıç from travelling abroad after seizing their passports at an İstanbul airport. “The Turkish Embassy in London does not return the passport to its owner because it is allegedly reported lost. This issue cannot be explained by law, reason or ethics. Are we sad? Yes. But we are not sad about what they did to us, we are sad to see what our government has become,” wrote Akın İpek on his Twitter account. On Sept, 28 the passport of former Today’s Zaman reporter Arslan Ayan was confiscated by officials at the Turkish Consulate General in New York on the grounds that a warrant for his detention was outstanding back in Turkey. 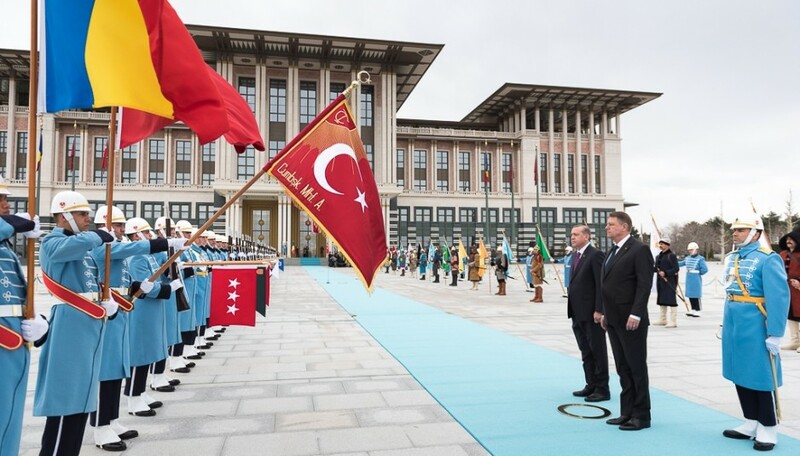 Last year, Belgian police returned the passport of a Turkish citizen since the cancellation of passports by the Turkish government after July 15 was considered unlawful. On April 23, 2016 Nazif Apak, a columnist for the critical Turkish daily Yenihayat, which was confiscated by the government following a July 15 coup attempt, wrote about the irregularities concerning the passport issue in Turkey. Apak also talks about other irregular practices concerning passports. He says people are not allowed back into Turkey when they return from abroad due to a list of unknown criteria, even though there are no court rulings for those people. Apak added that the same unlawful practice is also applied when some people are leaving the country. Their passports are seized at the airport, again, due to a list of unknown criteria. This article originally appeared in Turkish Minute on Mar 27.